Can you imagine watching TV on the beautiful court but it feels hard and somehow it hurts your back? We bet you will hate it. Then, you should be careful when choosing furnishings, whether it’s home furniture or office furniture. It’s strongly suggested not to underestimate the importance of furnishings’ comfort. Why? Sometimes, your furniture may be beautiful to look at. But remember that it must fulfill the aims and ideas you bought it for, which is to be used comfortably by anyone living at your home. 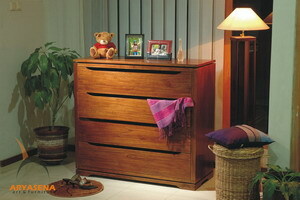 If you love wood furniture for your cozy room, you must figure out its comfort and practicalities as well. Besides good looking, our wood furniture also gives you the maximum function. A great rest is hoped to be an end of a perfect day, isn’t it? And when it comes to redecorate your private bedroom, don’t be afraid to play with your imagination, on the other hand you should let your personal taste float out. Please notice that designing the bedroom interior is very personal thing so you are free to choose any color and model that you like most. No matter how big or small your bedroom is, the décor will be more favorable with our bedroom furniture. Anyway, your furniture is one that you are going to have to live with for a long time, right?